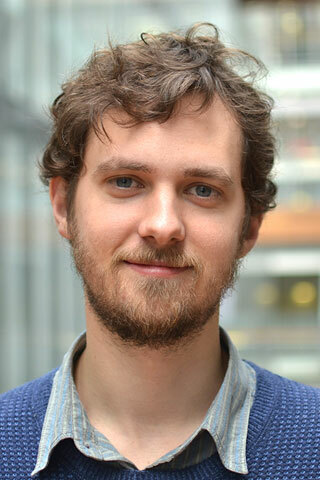 Ben Madden is an experienced data analyst and modeller specialising in spatial problems, environmental management, waste management, and energy efficiency. His experience includes end-use energy and water consumption modelling (residential and commercial), behavioural modelling, numerical simulation of complex systems, statistical analysis, geoinformation science, and qualitative policy research. Ben’s current work at the Institute for Sustainable Futures includes developing a robust method for detecting tree growth from open-access high-resolution imagery; socioeconomic and biophysical drivers of urban tree growth, and; developing a decision support tool through simulation for the assessment of resource recovery interventions for New South Wales waste management systems. Connon, I, Prior, JH, McIntyre, E, Adams, J & Madden, B 2019, 'How does disability affect residents' worry about environmental contamination? An Australian case study', Environmental Hazards. © 2019 Elsevier Ltd The delivery of water services to the poor is lagging, yet local causes and manifestations of this are not well understood. Better data is needed to identify inequalities where they occur, explore underlying reasons, and develop strategies to achieve more equitable access. A focus on the local scale is important because this is where water services are delivered, and inequalities in access can be best observed. This paper presents a mixed-methods study of poor households' access to piped water in rural Viet Nam, providing insight into local dynamics of the water/poverty nexus. Findings pointed to lower rates of piped water access for poor households across areas served by government, private and community service providers. Connection fees were found to be the primary barrier to poor households accessing available piped services. The study also found that where financial support is provided, poor households can achieve comparable or even higher rates of access. Key implications of the study are the demonstrated value of, and yet challenges associated with, rigorous local-level monitoring to ensure equitable, quality service delivery. The management and remediation of contaminated environments increasingly involves engagement with affected local residents. Of late, risk communication tools and guidelines have drawn attention to the stress and concern of residents as a result of heightened awareness of localised contamination and the need to address these less visible impacts of contamination when engaging with affected communities. Despite this emerging focus, there is an absence of research exploring the factors that predict resident worry about neighbourhood contamination. This paper aims to address this shortcoming by drawing on data from a cross-sectional survey of 2009 adult residents in neighbourhoods near 13 contaminated sites across Australia. Analyses used ordered logistic regression to determine the sociodemographic, environmental, and knowledge-based factors that influence residents' degree of worry. The findings suggest age, gender and income significantly affect residents' degree of worry. Being knowledgeable about the contaminant was associated with lower degrees of worry. Conversely, having a stronger sense of place within a neighbourhood predicted higher degrees of worry. Type of contaminant also impacted resident worry, with residents being less likely to worry about hydrocarbon, asbestos and waste than other types of contaminants. Our analyses suggest resident worry can be reduced through improving access to accurate information and the development of specific risk reduction strategies tailored to each neighbourhood and aimed at the heterogeneous distribution of worry amongst residential populations. Driven by an increasing population, affluence and economic activity, waste—an almost inevitable by-product of modern production and consumption—is being generated at a rate that is growing exponentially with time in Australia. Despite the global maturity of waste to energy technology as a waste valorisation process, it is yet to be applied at scale in Australia, which has traditionally relied on landfill disposal, and more recently recycling, for the management of waste. Recent policy frameworks implemented have enabled the uptake of waste to energy in parts of Australia to divert waste from landfill, while offsetting non-renewable energy sources in the transition to a low-carbon energy landscape. However, recent policy dictates that higher order waste valorisation processes such as re-use and recycling, must not be undermined by energy recovery processes. Watson, R, Mukheibir, P & Madden, B 2018, PWC Drought Response - restrictions review, Sydney. Watson, R, Mukheibir, P & Madden, B 2018, PWC Drought response - Government water use review, Sydney. Mukheibir, P & Madden, B 2018, PWC - Pricing and demand elasticity, Sydney. Mukheibir, P, Madden, B & Morris, T 2017, Circular Economy: Water Services Planning for GPOP, Sydney. The Hort Innovation Green Cities project 'Measuring Australia's Green Space Asset' (MUGS) undertook a global review of urban green space (UGS) measurement research and engaged with Australian stakeholders to gauge current practice. The overall aim of the project was to foster best-practice UGS planning and management by juxtaposing the scientific state of the art with the contextualised needs expressed by potential Australian end users. The synthesis of findings informed a 'blueprint' which sketches the contours of a possible nationally consistent UGS decision-support framework. The framework is illustrated with a worked example from Australia (rapid assessment of urban green space assets using satellite imagery). Madden, B & Downes, J Institute for Sustainable Futures, UTS 2016, Increasing commercial food waste collection services—literature review of Australian and international initiatives, Sydney, Australia. The NSW Organics Infrastructure Fund has various waste programs focused on waste avoidance, local government household organics collections, organics processing, and markets for processed, source-separated organics. One of the program, Bin Trim, supports small to medium sized enterprises to monitor, reduce and manage waste including organic food waste. However there is currently a lack of collection services for source separated, commercial food waste. The NSW Environment Protection Authority (EPA) is investigating options for incentivising commercial food-only collection services. To complement separate research on the barriers to the establishment and expansion of commercial food waste collections in NSW, the EPA commissioned ISF to undertake a literature review of Australian and international initiatives that have sought to provide incentives to increase commercial food waste collection services. The review identified a number of government funded initiatives in other states, particularly SA, as well as examples by the UK Waste and Resources Action Programme (WRAP). A review of the United States, and academic literature did not yield relevant examples. In these contexts the focus remains on household food waste collection.